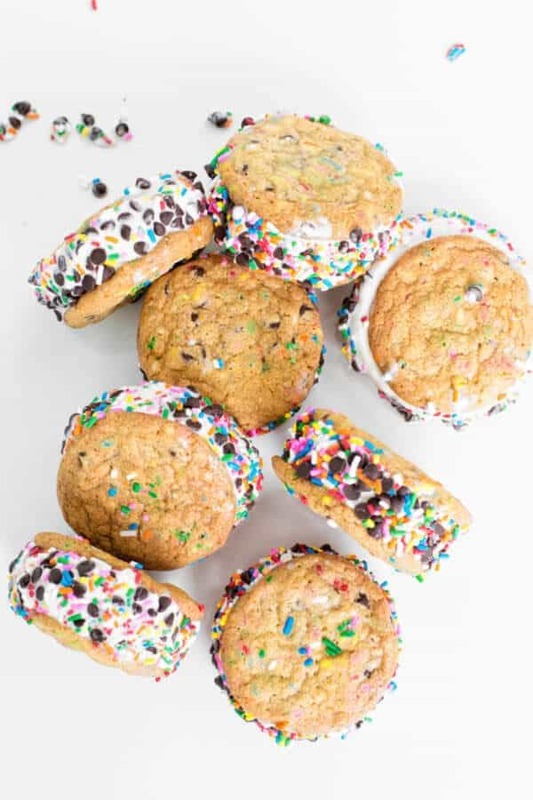 Sugary sweets and the holidays go hand in hand, and some desserts are decidedly more festive than others. 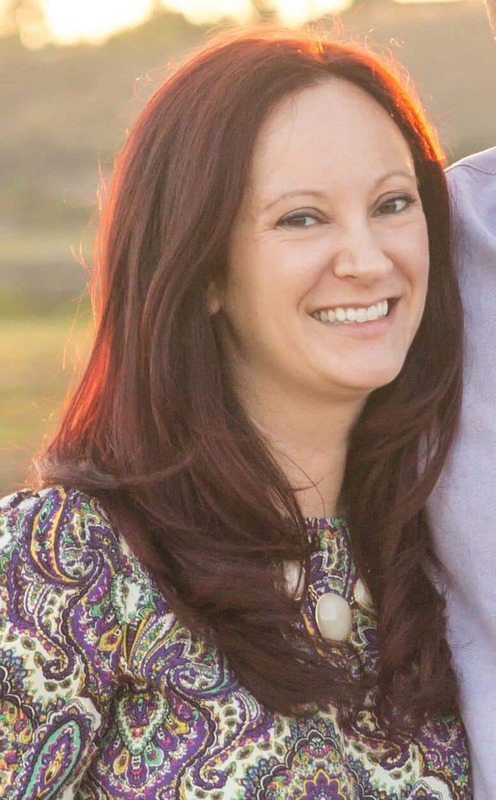 Have you ever noticed how we only eat certain foods during certain seasons? Toffee is one of those holiday-specific desserts we tend to reserve for year-end, despite it being so delicious! 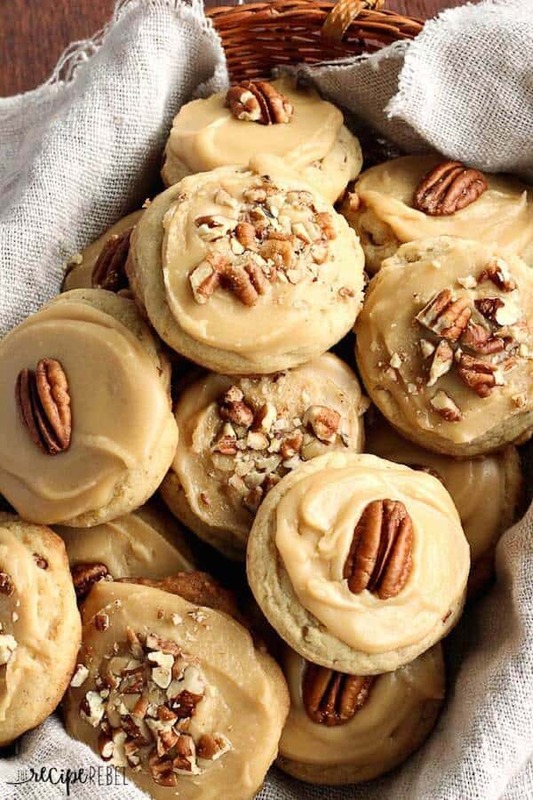 If you don’t have a ton of time to spend in the kitchen this year, but still want to gift some tasty treats to family and friends, check out these easy toffee recipes that are sure to be a hit. 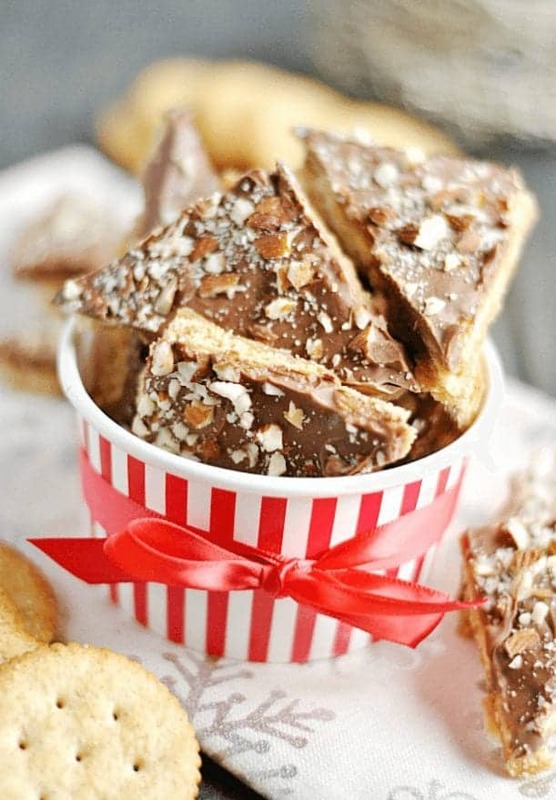 You type in “easy toffee” and the Ritz Cracker Toffee recipe is the first thing to come up on Pinterest. And that’s because it’s so easy and delicious. Perfect for that little extra gift, Ritz crackers are covered in a melted butter and brown sugar mixture (yep, that’s toffee for you!) and then another layer of chocolate. 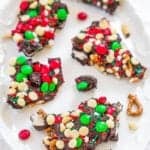 You can add extra toppings if you’d like, or just revel in the fact that it only took 4 ingredients to whip up this festive treat. Check out SomethingSwanky.com for this simple and savory recipe! Personally, when I think of easy toffee, this saltine version always comes to mind. Crispy crackers, laden with tons of sugary goodness just sounds like something I can sit down and devour! It doesn’t differ that much from the Ritz cracker version, except for the different cracker of course, but is great if you prefer a saltine over a Ritz. 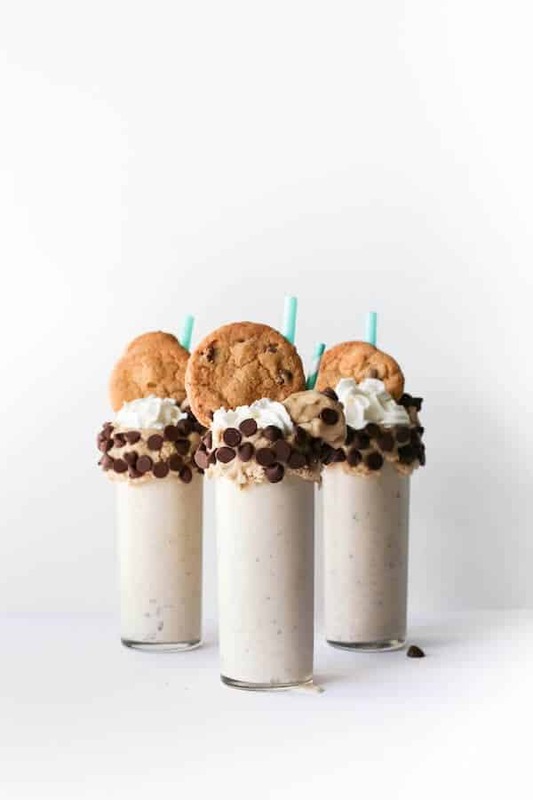 Get this recipe and other goodies from LiveWellBakeOften.com. Carrying on in the way of simple toffee recipes, here’s another easy option that merely involves using graham crackers as your base. Lay out the crackers, pour on the toffee mixture and bake. Then add chocolate and nuts, chill and serve. I bet these graham crackers are the perfect mixture of chewy and crisp! Sang this recipe and other amazing meal planning tips at woPeasAndTheirPod.com. No crackers here! 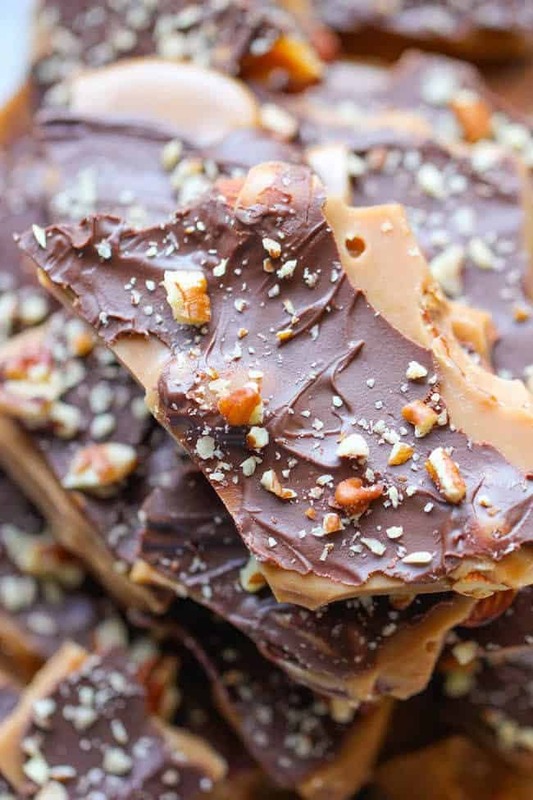 This homemade toffee recipe is tried and true, and more like the traditional toffees out there. 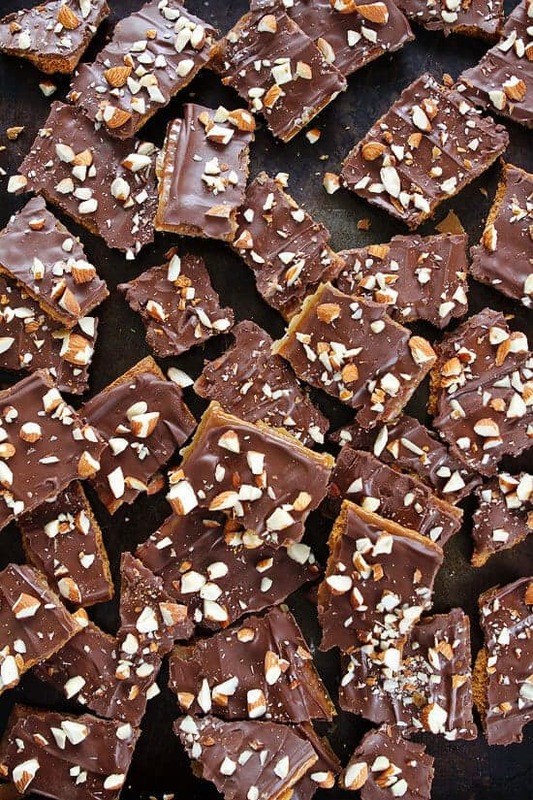 Almonds are spread on a rimmed baking sheet, topped with the toffee mixture, and then coated with chocolate and almonds. This recipe may take a few extra minutes then the previous ones we’ve found, but it’s no less mouth watering. 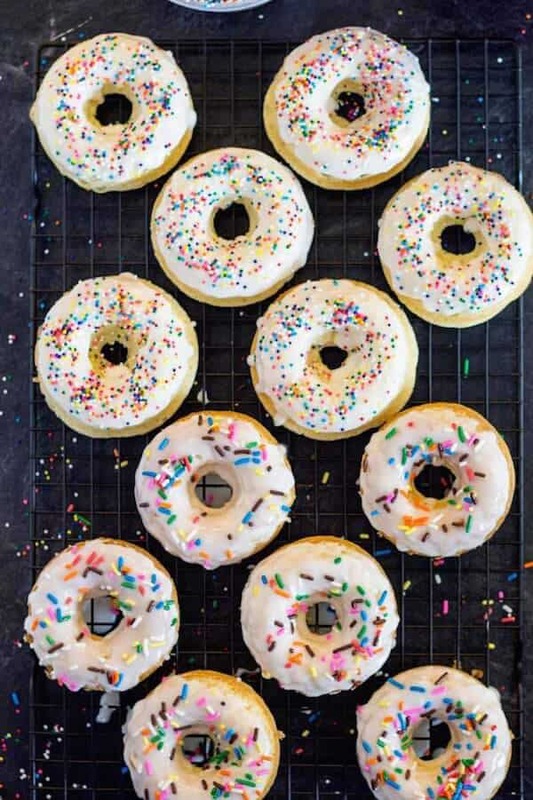 Get tons of recipes and fun videos at DamnDelicious.net. 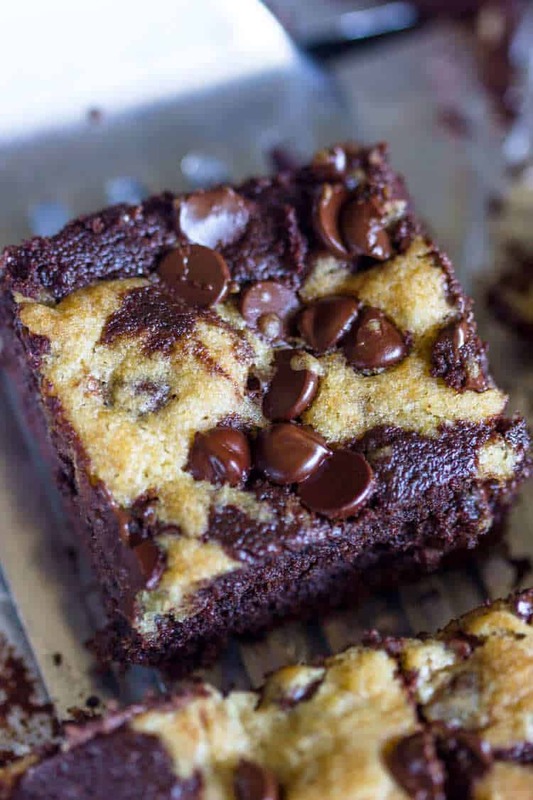 Forget cracking apart chunks of toffee, with this recipe and a fun brownie bites pan, you’ll have perfectly shaped toffee bites every time. 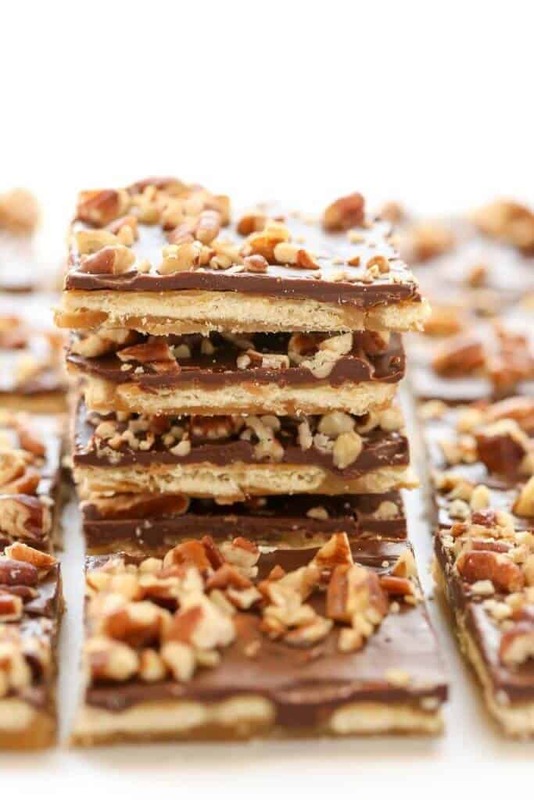 Almonds are layered with thick sections of toffee and then topped with chocolate and more nuts. As I’m sure you’ve noticed by now, there’s not a lot extra that goes into making toffee! 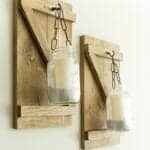 I love these no-muss, no fuss bites and can’t wait to sink my teeth into one! See how easy it is and how to get that brownie bite pan at ShugarySweets.com. 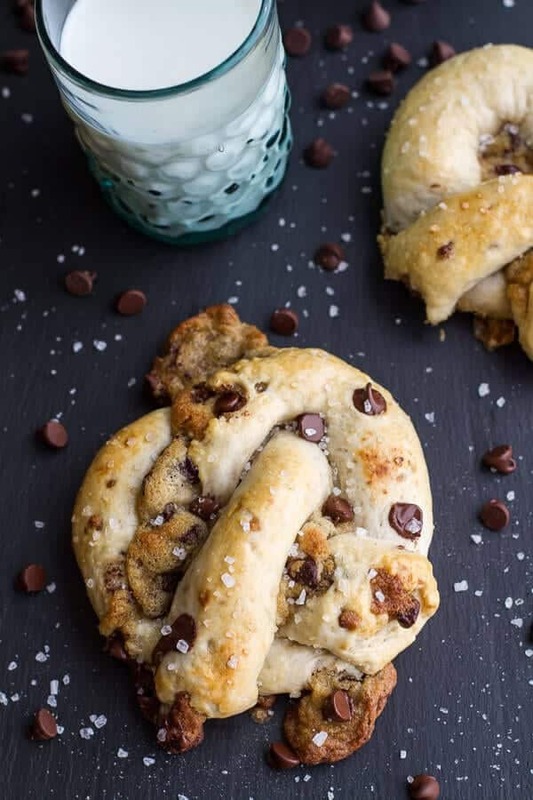 Don’t be fooled by the name of this recipe, it’s definitely not healthy because of “almond butter.” Instead, it uses tons of butter that are mixed with almonds, and then boiled into toffee. A little corn syrup here, a little vanilla there, and you have an ooey gooey and buttery confection that will beg you to eat the entire pan. 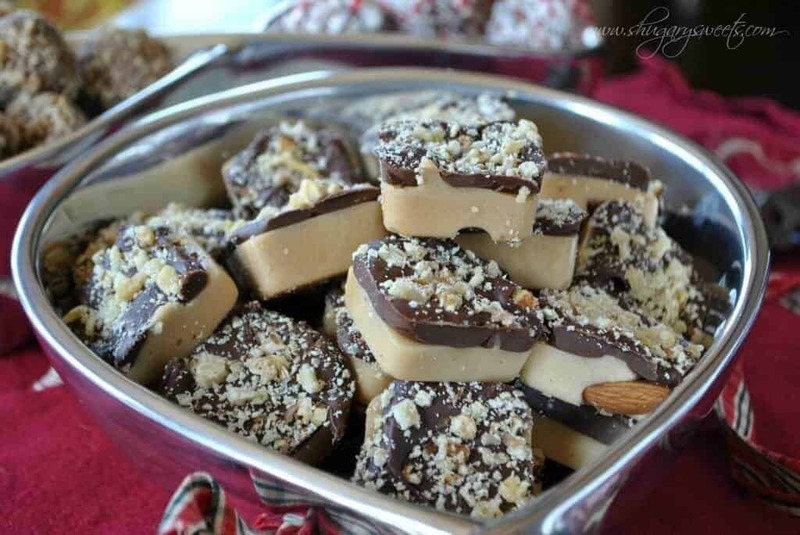 If you feel like making a fancier toffee, then you need this recipe from NoRecipes.com. 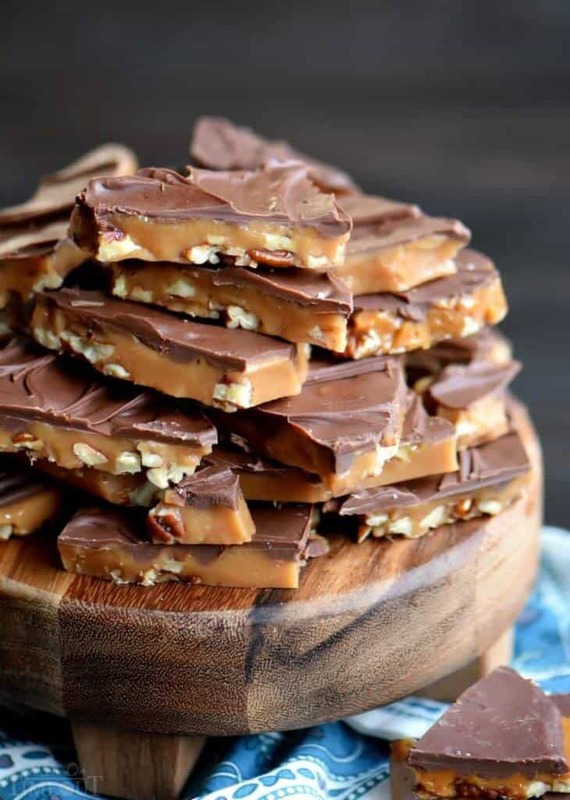 Four ingredients is all it takes to get this thick and decadent toffee! No nuts needed for topping in this version, since you include IN the toffee layer. From almonds, to pecans or walnuts, this recipe if versatile and accepting of your favorite nut so add what you like! 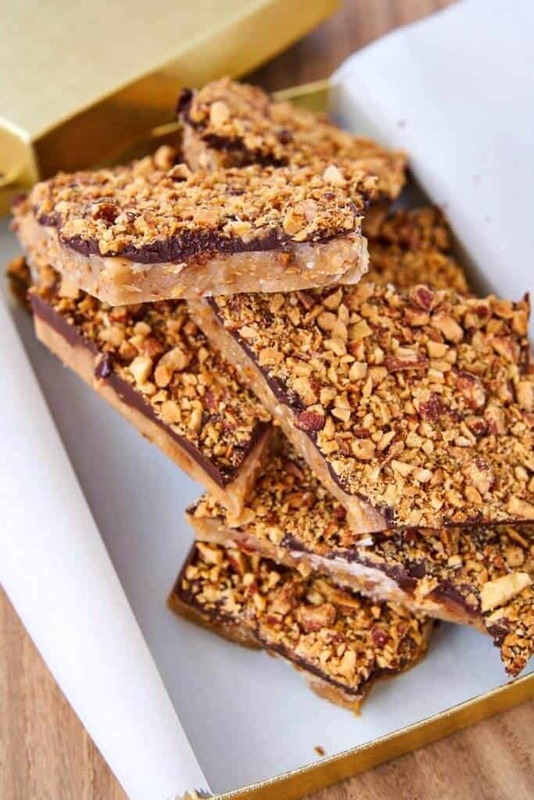 Get the best tips for whipping up this toffee at MomOnTimeOut.com.